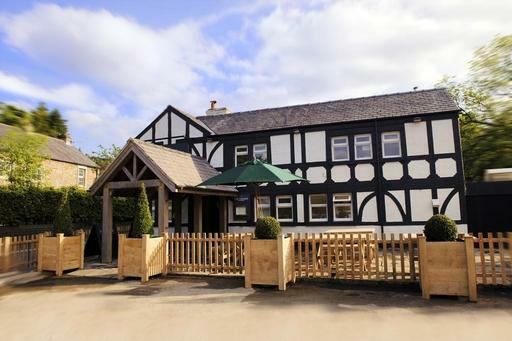 Nestled in Lancashire’s scenic Lune Valley, gateway to the Lake District and a stunning destination in its own right, The Fenwick Steak and Seafood Pub has been thoroughly brought up to date without losing any of its old world charm. The building itself is over 250 years old, as you can see from the picturesque low-beamed ceilings, oak floors and cosy open fires. Combine this homely, traditional atmosphere with comfy and stylish bedrooms and excellent locally sourced food, and you are on to a first rate getaway. There’s no better place to stay in Lancashire than The Fenwick hotel, especially if you’re looking for a stylish and comfortable stay combined with a friendly and homely welcome. The nine stunning bedrooms and suites are understated and contemporary in style, and are fully equipped with flat screen TVs and free Wi-Fi. The food at The Fenwick is sublime, as you can always expect from The Seafood Pub Company. Fish is brought in daily from the family business of legendary fishmonger Chris Neve in Fleetwood, then cooked to perfection. The menu also features a wide variety of locally sourced meat and game. Specialties include 28-day dry-aged, grass-fed Lancashire beef cooked on a Robata grill, peppered tuna steak, Goan prawn curry, salt and pepper squid and much more. There is plenty to see and do nearby during your stay in Claughton, including a host of outdoor activities including walking, cycling, shooting and fishing, not to mention the lovely town of Kirkby Lonsdale and Hornby and Lancaster Castles. A little further afield, head north to the peaceful Lakes or south to the gaudy fun of Blackpool. To make the most of your short break or holiday in Lancashire, book a room at The Fenwick to ensure your stay is comfortable, relaxing and most of all, memorable. For discounts and a variety of booking packages, take a look at our special offers.